Current patients Make a payment, patient portal, and resources for the current patients. or submit our online form and we'll contact you. Prior to pregnancy, many young women aren’t worried about varicose veins. Unless, of course, grandma has been warning you for years that one day you’ll end up with legs full of veins just like your granny. Other than that, many people think that varicose veins only happen when you get older. And we are starting things off today by dispelling that myth. While yes, it is true that varicose veins are an issue for one of every two people over the age of 50, varicose veins do not choose only older people for their victims. In fact, one of the top 5 leading causes of varicose veins is pregnancy. While not every woman will suffer from vein issues while pregnant, it is very common. Why does pregnancy sometimes lead to varicose veins? Here we will answer that question, and share with you how you can decrease your risk of developing this vein problem while pregnant. The minute you become pregnant, your hormones immediately start changing. The flux in your hormones can cause a number of things to happen. You may find you’re more irritable, that you have strange food cravings — some of the typical things you hear about with pregnant women. However, you may be surprised to find out that your changing hormones also affect your veins. Progesterone production in a pregnant woman’s ovaries skyrocket during pregnancy. And, because of this, her blood vessels struggle to contract like they did pre-pregnancy. Though this sounds like a bad thing — there is a reason for it. A pregnant woman’s body needs her blood vessels to be more lax in order to deliver the baby in a healthy way. The downside of this is the fact that it increases your risk of developing varicose veins. Pregnancy causes the amount of blood in a woman’s body to increase massively in order to support the growing baby. 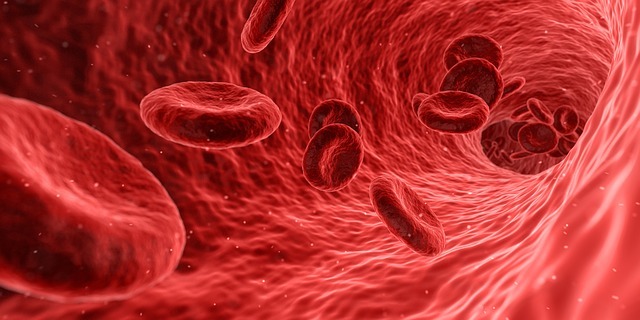 As a result of that increase in blood, your veins will become enlarged. When not pregnant, your chances of suffering from varicose veins increases if vein problems are in your genes. And, the same is true if your family history shows that varicose veins developed in your mom or your grandmother during pregnancy. As your due date becomes closer and closer, your body must work harder and harder to go against gravity and circulate blood from your legs up to your heart. And, as your baby inside continues to grow, your pelvis will be experiencing new levels of pressure, thus affecting the veins that pass through your pelvic area working to circulate your blood. 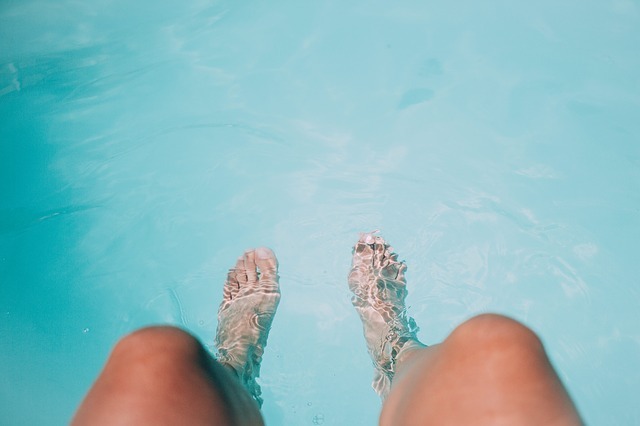 With this added pressure, you may find that your veins just aren’t working like they used to, and you may see those dreaded blue varicose veins make an appearance. All hope is not lost! There are things that you can do to help keep your veins healthy during pregnancy, and possibly offset the risk of you developing varicose veins. The key in all of the below is starting to manage your health as soon as possible — the longer you wait, the harder it will be. Setting up a workout routine at the beginning stages of your pregnancy will do you wonders. Not only will the extra endorphins help you during a time when your hormones are going to be off-balance, but exercise is also a great way to keep your blood flow consistent and healthy. The exercise that you choose to do is up to you and your doctor, though if you weren’t much into working out prior to pregnancy, don’t worry — it’s not as if you’ll have to develop an intense workout regimen. Something as simple as walking for 30-60 minutes a day is a great way to keep your veins healthy, and also help manage your weight. Though far from anything you’ll see in the cat walks of Fashion Week, compression stockings are a fabulous tool during pregnancy. If you are sitting or standing for long periods of time while pregnant, pop on these socks to keep your circulation moving. You may also want to throw compression stockings on when heading out for your daily walk. You will find during pregnancy that you feel exhausted. Not just mentally, but also physically. Many women say their legs have just had it by the end of the day, and sometimes ache immensely. To combat this, and the vein issues that may result, lay down with your legs elevated above your heart. This helps take pressure off of your veins and aids your body in the natural blood flow from the veins of your lower legs all the way up to your heart. 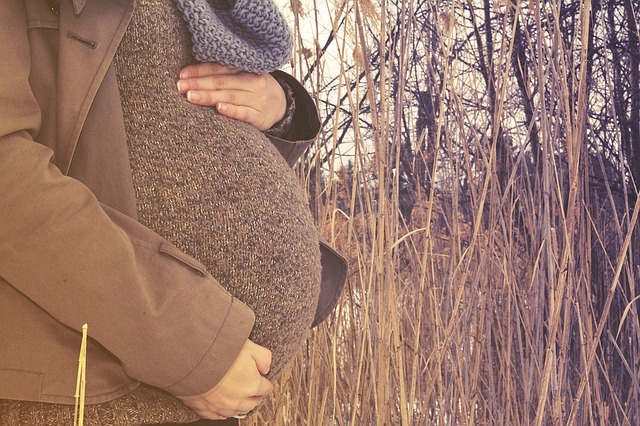 Becoming pregnant is not an automatic sentencing for the development of varicose veins. Though your chances are increased, keep in mind the above things you can do to promote healthy veins. If you find that vein issues during your pregnancy are causing you major problems, and you are concerned about your vein health, contact a Vein Clinics of America location near you. With doctors who have helped over 300,000 patients improve their vein health, you can trust that your veins are in good hands. Why are Varicose Veins Found Primarily in the Legs? Have a Vein Clinics of America network physician examine your legs and recommend a treatment program customized to your specific condition. This website, including all text, graphics, logos, images and software, are the copyrighted works of Vein Clinics of America, Inc. or its content suppliers. Any unauthorized redistribution or reproduction of any materials herein is strictly prohibited. **Due to legal constraints, the free consultation offer cannot be extended to Medicare or Medicaid beneficiaries or other recipients of federal or state health care benefit programs. Offer expires December 31, 2019. Consultation must occur on or before December 31, 2019. Valid at all participating VCA network locations. New patients only. One free consultation per person during promotion period. Not redeemable for cash. Contact one of our specialists to schedule a free** consultation or ask questions.